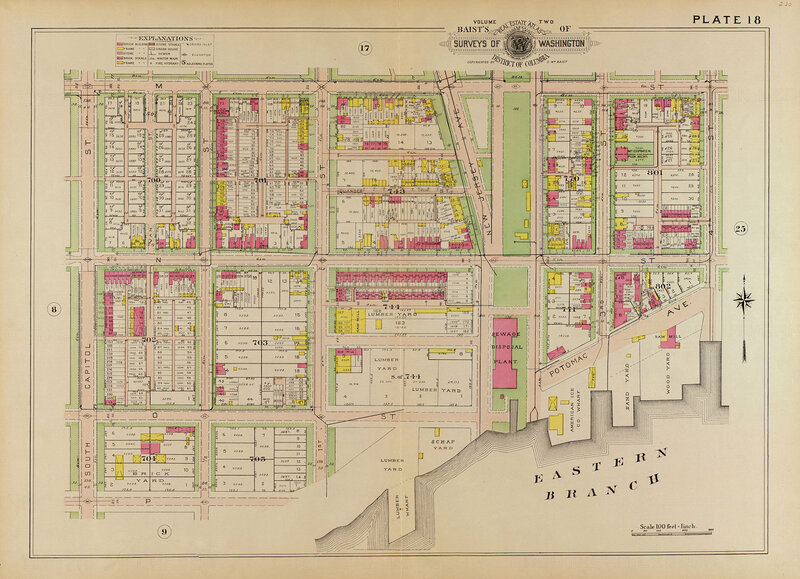 From Baist's real estate atlas of surveys of Washington, District of Columbia : complete in three volumes / compiled and published from official records, private plans, and actual surveys by G. Wm. Baist, topographical engineer., 1903, 1909, 1915, 1921. Posted in the Library of Congress American Memory Collection.